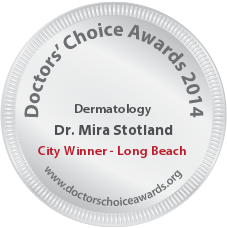 Services Offered: Medical Dermatology, Cosmetic Dermatology, Aesthetician Services Dr. Mira Stotland is the director and founder of Complete Skin LA. She is a board certified dermatologist and assistant clinical professor at the University of Southern California. In addition to specializing in the various aspects of medical dermatology, Dr. Stotland provides excellent care for the prevention and treatment of skin cancer. She aids her patients, as well, in the maintenance of healthy, beautiful skin with cosmetic dermatologic treatments and laser surgery. She is an excellent physician and very compassionate. I highly recommend her for this reward. 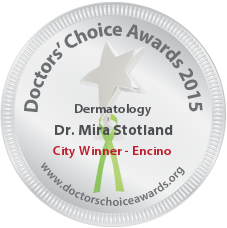 Mira Stotland, is an awesome and the most professional dermatologist that can be!!! Her skills and passion for dermatology are unmatched ! Her professionalism is supreme! Her communication skills and patient care skills are unparalleled ! I am proud to be nominating her. Dr. Mira Stotland is one of the most intelligent, hard-working, and dedicated professionals I know. She is highly regarded by her patients and her colleagues and is highly deserving of this award. I am happy to nominate her! 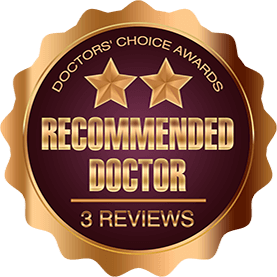 Dr. Stotland is an outstanding dermatologist, very knowledge and skilled, and with fantastic interpersonal skills as well. I would recommend her without hesitation, and am proud to nominate her for the Doctors’ Choice Award. Dr. Stotland is an exceptional dermatologist with a broad knowledge base and expertise in medical and cosmetic dermatology. She is also one of the kindest and most compassionate physicians I have ever encountered. Anyone fortunate enough to receive Dr. Stotland’s care will understand immediately why she is so highly lauded by her patients, peers, and colleagues.